So after our teacher workday meetings, I went for an update! I wanted some positivity and thought this would be fun because it was sort of interactive! I'm always stumped when it comes to new bulletin board or door designs... especially at the high school level. I came up with this bulletin board design really centered around school community building, and it's applicable to all grade levels! Be ready to hit the ground running as your school year starts from the moment you get parents in the door. Start developing a positive rapport with them by tapping into what THEY see in their student before you even know their student! This was easy! I have color and b&w titles for your board.. but more importantly, I have a sticky note template for you to run through your printer, put sticky notes on top of, and run back through. Put these out during your open house, orientation, back-to-school night, and get parents or guardians to fill in notes for their children! 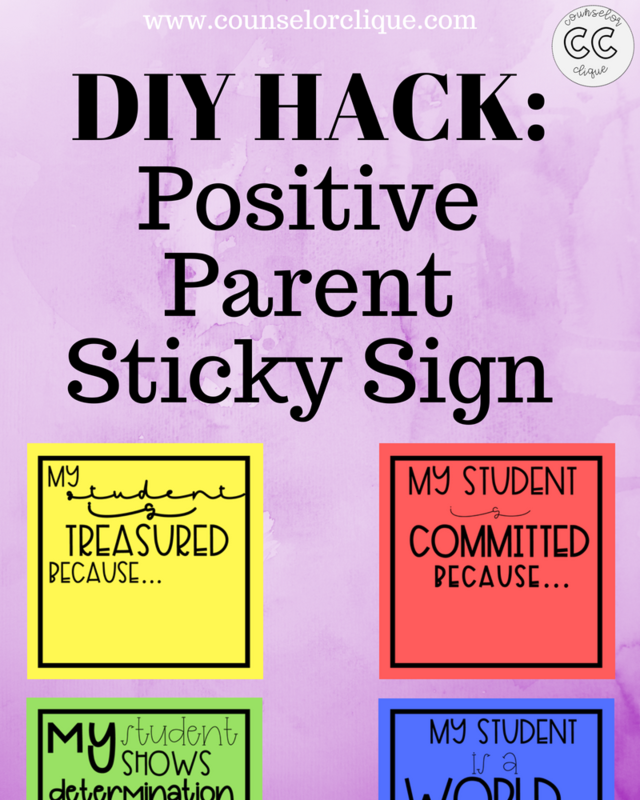 I can't wait to fill up this year's back-to-school bulletin board with these positive parent notes! 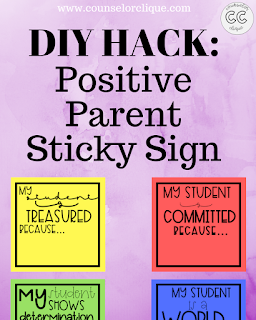 Check out my POSITIVE PARENT STICKY SIGN here! Also check out Carol Miller- The Middle School Counselor's Positive Posties Affirmation Bundle for a student/teacher/school community morale builder. I have updated this blog to link to my Teachers Pay Teachers for this listing. Enjoy!